Seven years ago Sadia was diagnosed with a kidney condition. The decline in her health led to her leaving her job as a primary school teacher. She was on dialysis for nine months and the transplant waiting list for a year before she got the kidney transplant she needed, thanks to a donor. 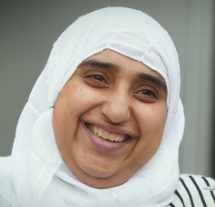 Since receiving her transplant Sadia has become a mother again to a “miracle baby”. She is keen to raise awareness of the need for more organ donors from an Asian background. Please watch and share Sadia’s film below.